Summer view of big resort complex on beach for tourism, vacation and holiday. 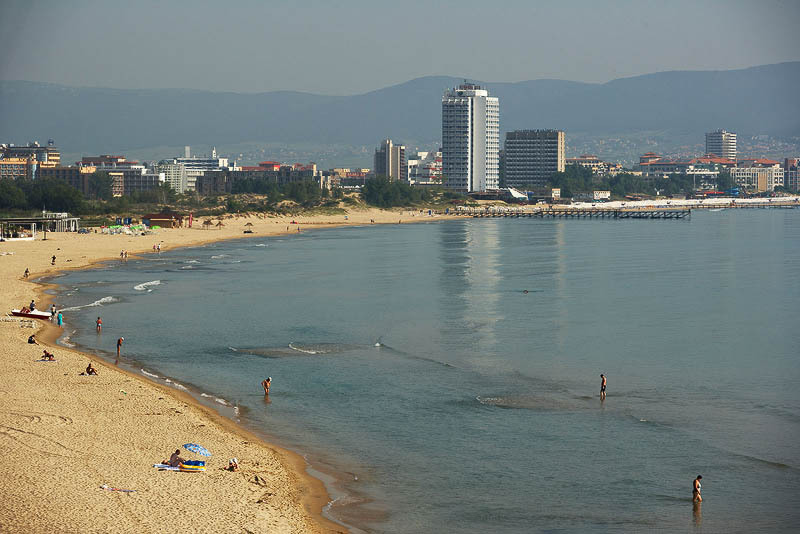 Sunny beach, Black sea resort, Bulgaria. Seaside tourist destination. Hotel buildings and sand beach on ocean coast. Town at seashore. Spacious sand beach with tourists in calm blue sea water.